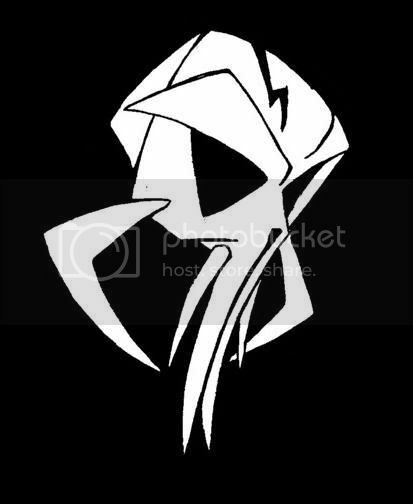 I was thinking of maybe a cross bone thing but the helmet in middle and his rifle crossing with another rifle behind. ok its been a while but here is another design for a club shirt. 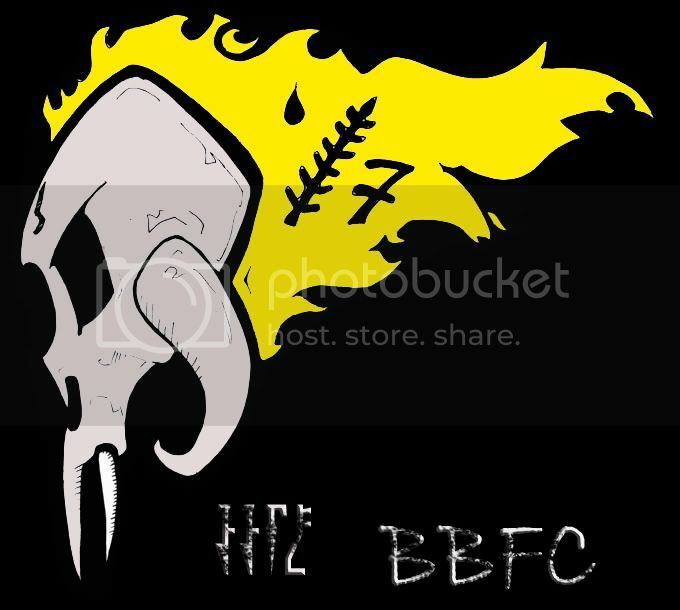 my thoughts were it would look cool to have ACDC type letters but of course BF(skull)FC on each side of the skull. kind of a retro timeless look. i stripped down the lines on the skull and gave it a tony hawk/punisher look- ur thoughts? I'm usually not a fan of stylized images but that is really good. Perhaps we could get the letters on their and see what it looks like? Not good at photoshop so I'm going to leave it to someone else. yep if someone wants to toy w/ some different fonts or thinks i should add dome detail to this...or leave it clean. we could go w/ some old english letters- seems to be all the rage right now. That is a really cool image and I would wear that on my armor or on a tshirt with great pride. The simple approach is often the best, and I think it says a lot with out saying much. I also like out how it a distinctive image that BFFC would be privy to. That rules! The flames are cool, they kinda look like a flag. It looks great. Good ones, Cujo, I like the one in post#43 the best. Also, whenever you'll consider printing t-shirts, what's *in* lately is when you print your design off-center. Bottom-left, bottom-right, or near a shoulder. You can also print a detail from the design somewhere off-center at the front and the whole design on the back. A transparent texture underneath the main design could add something too. You forget about RED VS BLUE DOT COM!!!!!! all i got was the t-shirt creator. Karson, thanks for sharing the link. That's very helpful. I've met up with Cujo in person actually and we've talked more about the skull look that's currently on the home page here at BFFC. I'm thinking something simple, at least on the first run. What about just the BFFC with the backward facing 1st F like the one on the top left of the page on the site banner. Perhaps a black shirt with the letters fadding from deep red or gray/near white to black at the bottom. We'll give that approach some thought. Thanks!! I think there should be other designs dont you think? Okay, I'm no artist, but I messed around with the t shirt designer a little. I made the visor in paint, and I think the second F in BFFC should be backwards, but it wouldn't let me do it. Let me know what you think! Oh yeah, and I don't know how to take out the background on paint, so that's why the black box thing... that wasn't on purpose.